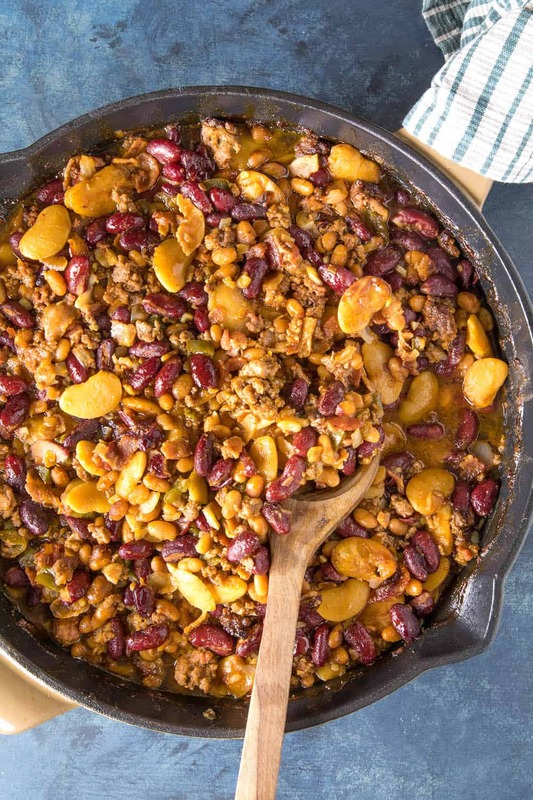 This cowboy beans recipe takes beans to a whole new level with ground beef, bacon and a tangy mixture of sauces and seasonings. Easy to make, infinitely satisfying, perfect for anywhere from dinner to cookouts to parties. Here is how you make it. 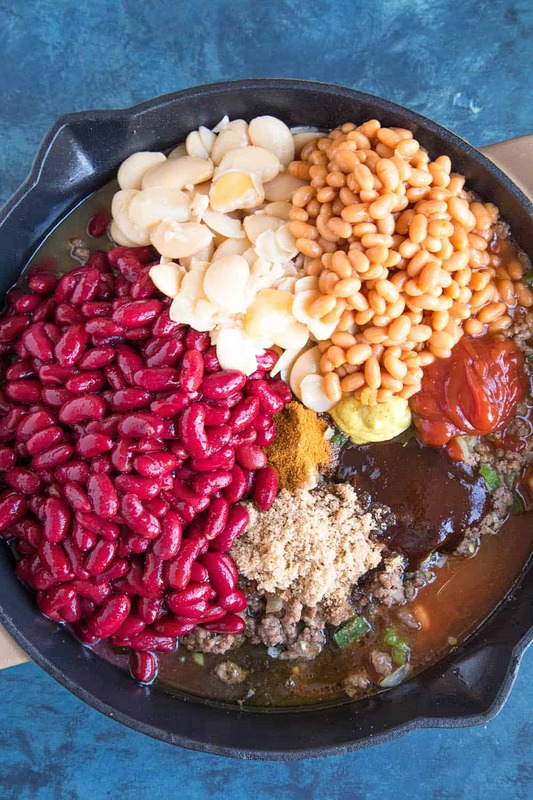 Cowboy beans is a popular dish in the southwestern U.S. At its core, it is a collection of beans and ground meat in a tangy, sweet bbq-like sauce. 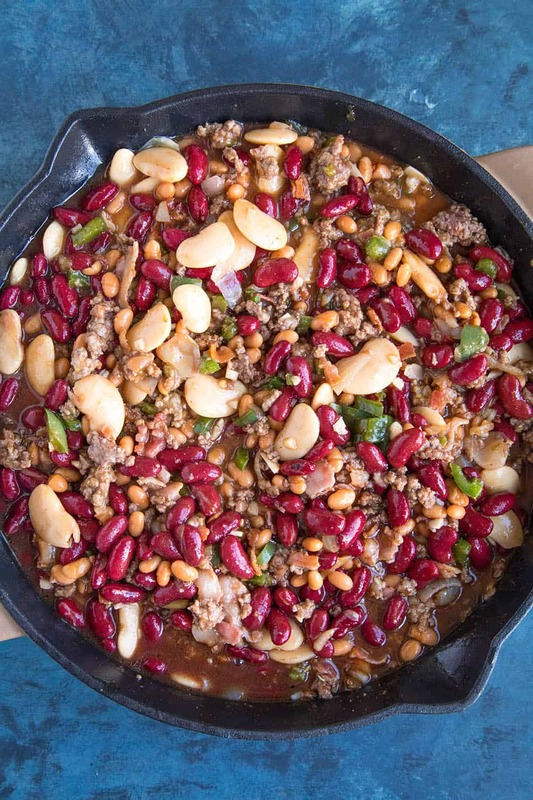 Ground beef and pinto beans are traditionally used, though the recipe has certain variations with other meats and beans. It is quite adaptable. 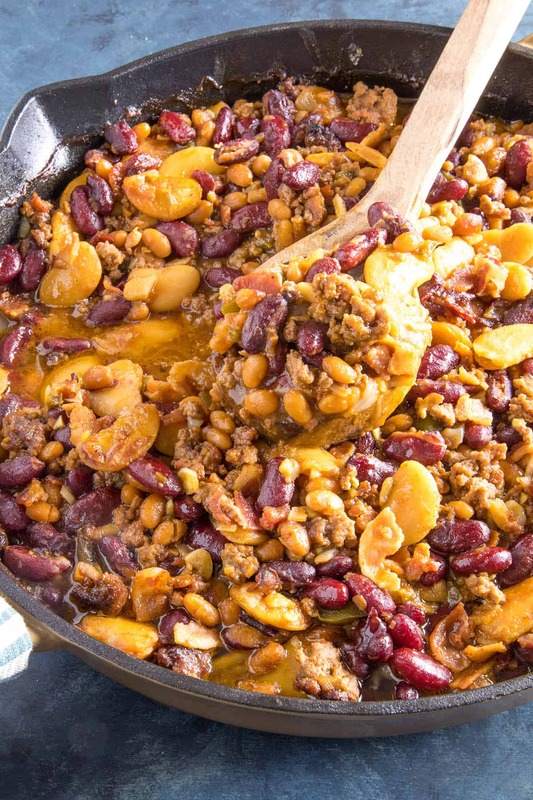 I enjoy making a version with ground beef and bacon, and a mixture of beans, which you’ll see below. Personally, we think it is hugely delicious. 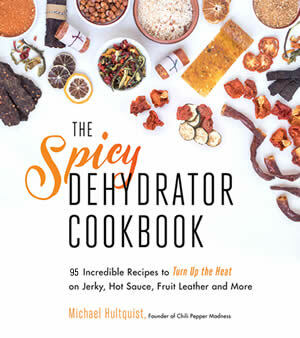 It’s easy to spice up with other peppers and seasonings, too. Let’s talk about how we make it! 1 pound ground beef (80-20) – You can use other ground meats as well, such as ground sausage, ground pork, or even ground turkey. Or, use a combination of meats. It’s GREAT with Mexican chorizo. First, heat a large pan or pot to medium heat. A Dutch oven is good for this. 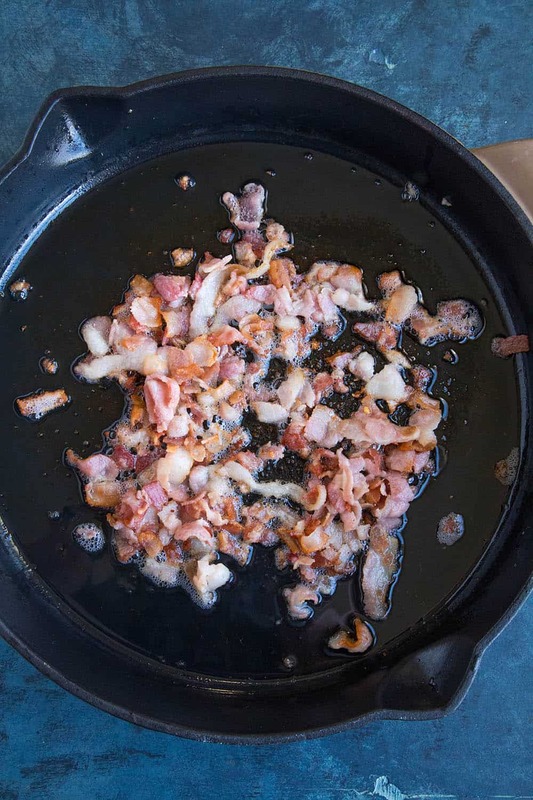 Cook the bacon in the pan about 5 minutes, or until it becomes nice and crispy. Remove and drain on a paper towel. Remove any excess grease. Next, add the chopped onion and peppers. Cook them down 5 minutes to soften. Add the ground beef and break it apart with a wooden spoon. Cook it down about 5 minutes to brown it all over, stirring. Stir in the garlic and cook another minute, until you can smell that gorgeous garlic. Add the bbq sauce, ketchup, mustard, molasses, vinegar, brown sugar, chili powder, and salt and pepper into the mix. Next, add all of the beans. If you’d like a kicked up version, stir in some hot sauce as well. Stir it all together, like so. Set it into the oven and bake for 1 hour. Remove from heat. Looks great, doesn’t it? Top with cheese, if desired, or enjoy it as it! 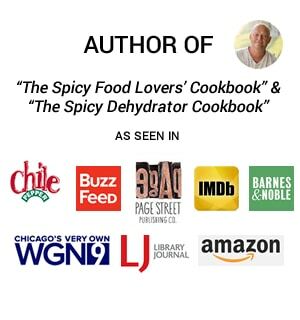 Serve with extra hot sauce! BOOM! DONE! It is an easy recipe for sure. 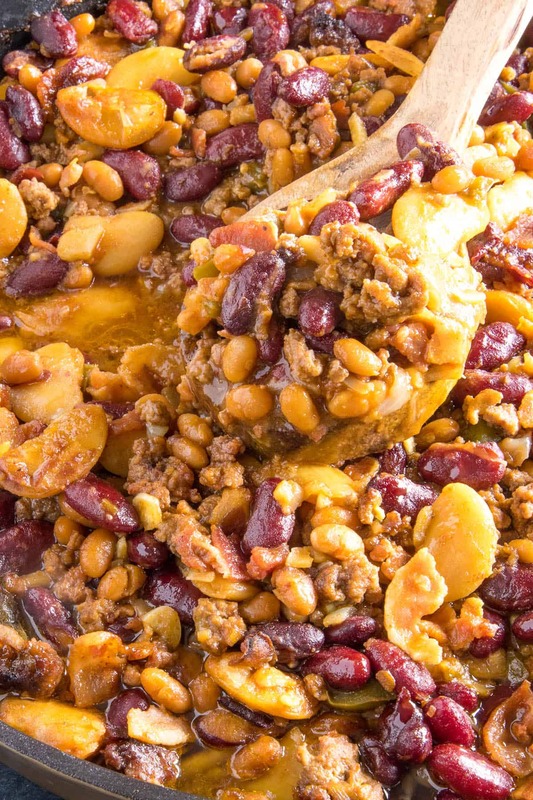 The sauce used in Cowboy Beans is really a mixture of different condiments. When people talk about the recipe being old fashioned or authentic, it’s hard to believe because those ingredients wouldn’t have been available at the time. 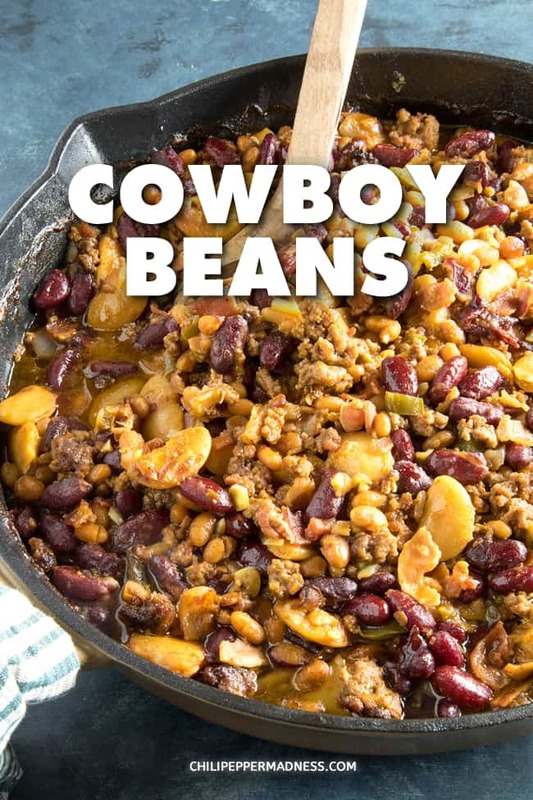 Most cowboy beans recipes have been adapted to current ingredients available. It’s delicious regardless. No complaints from me. I’m definitely a fan. This recipe is a baked version, though you can make it either as a stew in a large pot or Dutch oven, or in a slow cooker or crock pot. Either way will offer great results. In the Dutch oven, rather than baking it, simply simmer it on the stove top with the mostly covering it. Simmer for 2 hours, stirring every so often, until it thickens and the flavors develop. 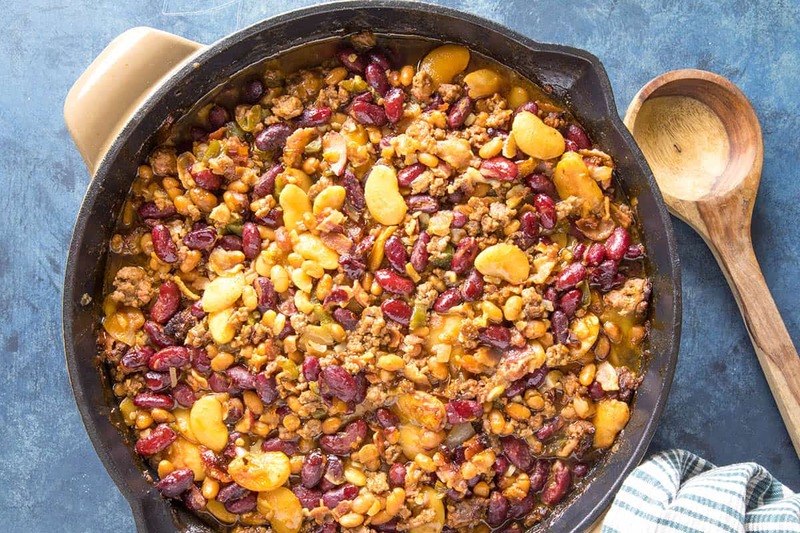 For the slow cooker or crock pot cowboy beans, transfer all of the ingredients to the slow cooker after you’ve cooked down the vegetables and ground meat. Cook on low for 4 hours, until the flavors develop. 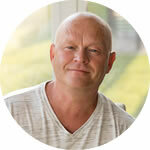 Slow cooker or crock pot version. Yes. Most recipes call for ground beef, though you can (and should!) incorporate other meats. 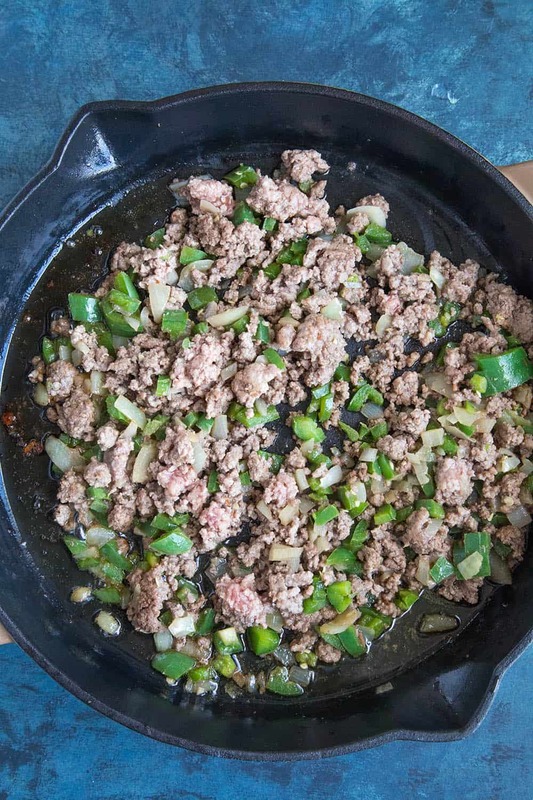 Consider ground turkey for a lighter version. Italian sausage or brats (ground pork) work great here. Try adding in sliced hot dogs. I love it with Mexican chorizo. Use a combination of meats for your preferred flavor. Try making a smoked version in your smoker. Smoked Cowboy Beans! Yes! Or use liquid smoke for a smokey flavor. 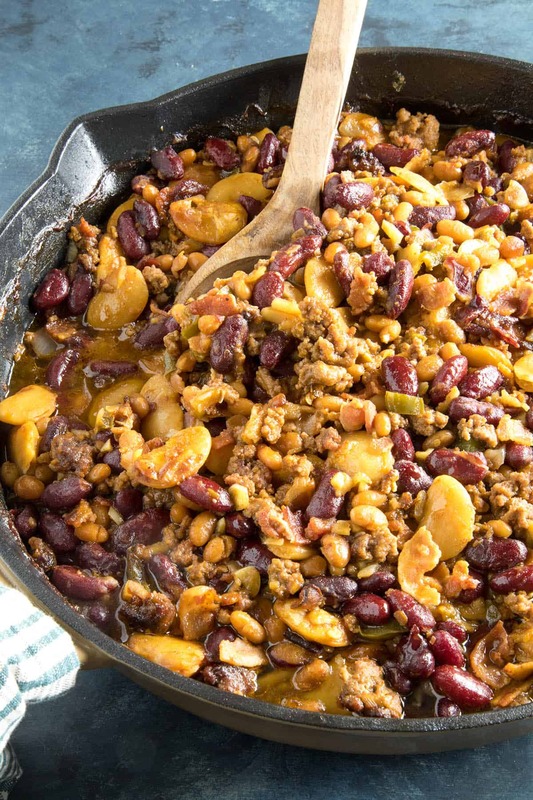 Cowboy beans takes beans to a whole new level with ground beef, bacon and a tangy mixture of sauces and seasonings. Easy to make, infinitely satisfying, perfect for anywhere from dinner to cookouts to parties. Here is the recipe. Heat a large pan or pot to medium heat. A Dutch oven is good for this. Cook the bacon in the pan about 5 minutes, or until it becomes nice and crispy. Remove and drain on a paper towel. Remove any excess grease. 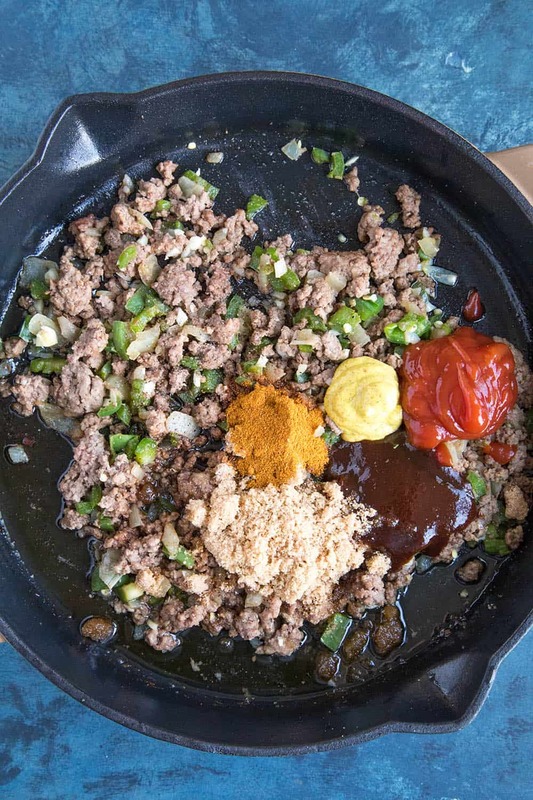 Stir the bbq sauce, ketchup, mustard, molasses, vinegar, brown sugar, chili powder, and salt and pepper into the mix. Stir in all of the beans. If you’d like a kicked up version, stir in some hot sauce as well. Remove from heat. Top with cheese, if desired, or enjoy it as it! 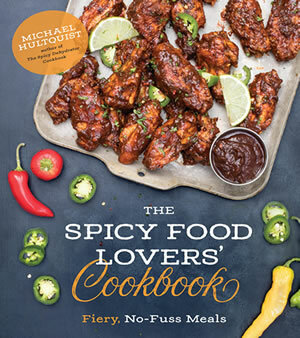 Serve with extra hot sauce! HELLO MIKE, THIS IS A FANTASTIC RECIPE,BUNDLES OF FLAVOUR. THE ONLY PROBLEM IS THAT IT HAS BECOME ALMOST AN ADDICTION ESPECIALLY FOR BREAKFAST WITH A COUPLE OF EGGS, YUMMY YUMMY I GOT LOVE IN MY TUMMY. CHEERS ADRIAAN, FROM SUNNY NEW ZEALAND. Cheers, Adriaan! I appreciate it. Yes, quite addictive, and tasty!